Welcome back to a new week and a new Milestone Monday, FighterSweep Fans! Today’s glimpse into military aviation history isn’t so much of a milestone as it is a look at an incident around the turn of the century that had massive short and long-term political ramifications, some of which can be felt even to this day. The South China Sea has been a hotspot of contention for several centuries, since it offers almost unlimited economic opportunity thanks to shipping lanes, oil reserves, and a robust fishing industry. Several nations, in an effort to reassert their sovereignty, have laid claim to the territory. The Phillippines, Vietnam, Taiwan, and Malaysia are just a few of the countries that are involved in claiming various parts of the South China Sea. China has claimed a large portion of the area as their own exclusive economic zone, overlapping claims by other nations bordering the disputed body of water. According to the Council on Foreign Relations, there is a high risk of conflict in that part of the world, especially given its economic value. On April 1, 2001, a US Navy Lockheed EP-3E Aries II reconnaissance/signals intelligence (SIGINT) aircraft was operating about 70 miles from Hainan Island, off the Chinese mainland. 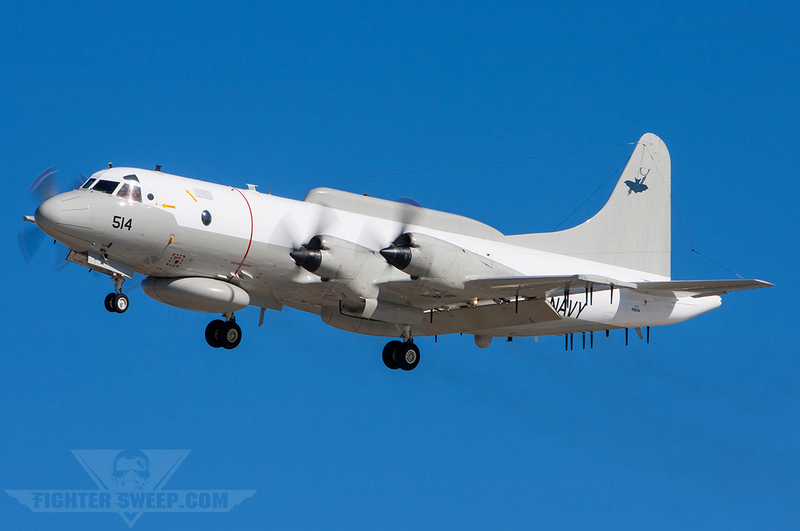 While conducting a routine flight in international airspace but over Chinese “exclusive economic zone” waters, the EP-3 from Fleet Air Reconnaissance Squadron 1 (VQ-1), the World Watchers out of NAS Whidbey Island, was intercepted by a pair of Shenyang J-8D “Finback” (NATO codename) fighters. The J-8Ds made several passes by the EP-3, progressively getting closer with each pass, seemingly with intent to harass the US Navy crew. On the last pass, one Finback overshot and collided with the Aries’ #1 propeller on the outboard left wing. The J-8 was instantaneously fatally damaged and crashed into the water, killing the pilot. The EP-3 also sustained a substantial amount of damage and aircraft commander Lt. Shane Osborn soon found himself trying to recover after his large four-engine turboprop had rolled inverted. Plummeting towards the South China Sea, the stricken EP-3 shook violently from the now damaged and unbalanced #1 propeller. The nose cone was also ripped away in the collision, creating a huge amount of drag as the crew struggled to maintain altitude. After losing over 14,000 feet of altitude, Lt. Osborn and crew leveled off at 8,000 feet. Although the crew of 24 aboard the EP-3 could breathe a sigh of relief, their troubles weren’t over yet. The closest airfield was on Hainan Island – People’s Republic of China (PRC) territory. While limping the damaged EP-3 to Hainan, the crew got to work destroying their SIGINT and electronic intelligence (ELINT) equipment. An EP-3E Aries II from VQ-1 World Watchers lands at NAS North Island. After a safe landing at Hainan’s Lingshui airfield, the Aries crew was detained while the US and China argued over who was at fault. 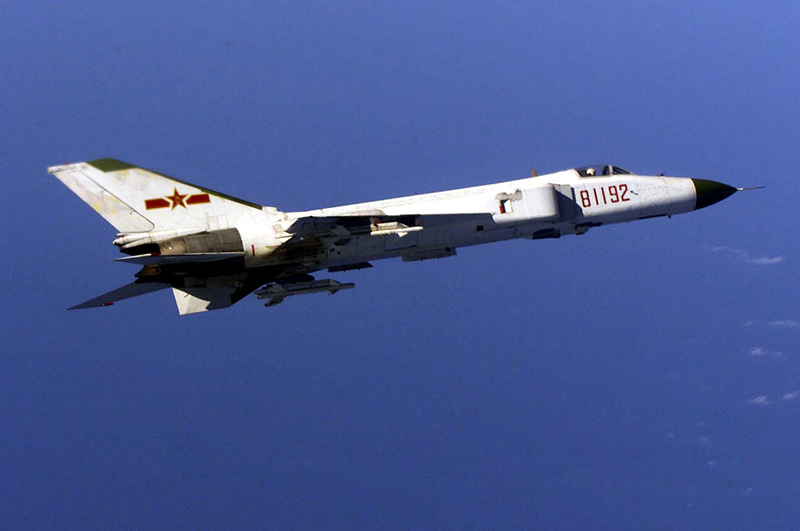 The PRC blamed the EP-3 pilot, while the US blamed the J-8 pilot, Wang Wei, who had been known for his aggressive intercepts. The Chinese demanded an apology, while the Bush administration admitted no wrong-doing in the incident. Finally, on April 12, the 24 crewmembers aboard the EP-3 were released and following a debriefing in Hawaii, made their way home to a hero’s welcome. The Chinese meanwhile continued to detain the damaged EP-3, even though it was judged fixable by Lockheed Martin engineers and able to fly off Hainan after the necessary repairs. The PRC wouldn’t let that ‘fly’ and subsequently the aircraft was disassembled and flown in pieces back to the US. Given the strategic US shift in focus toward the Pacific theater over the last few years, the Hainan Island Incident is a highly relevant example of escalated tensions in a volatile hot spot – still very much a zone of contention fourteen years later.